There are different types of body armor plates on the market. These bulletproof plates are made from different materials such as polyethylene, ceramic as well as steel. The choice will depend on the kind of protection level and weight you will need. These armor plates are fitted inside the bulletproof vest to improve protection. They will protect you against high-powered assault rifles. It is one of the things that you should consider to ensure that your life is protected as much as you can. Ensuring that you are fully protected against the high powered rifle rounds is very important. It can be achieved by considering the various choices of bulletproof plates that are available. If you an active shooter, SWAT team member or a soldier. These armor plates act like shields hence ensures that the security your bulletproof vest is offering you is improved. Never take chances with your life for this reason when you realize that the soft armor you are wearing inside is not working against assault rifles. Then you should consider opting for hard armor to stop strong bullets to penetrate your bullet proof vest. You can find body armor bulletproof plates that come alongside a set of military guidelines that will ensure that your body be fully protected. Some of the hard armor plates are covered by nylon fabric while others are covered with cordura fabric. They also come in different designs and shapes such as single curve as well as multi-curve shape. Bulletproof plate size and weight matters a lot because it enhances the capability of the plates. Moreover, other than the front armored plates you can aldo use back plates as well as side plates which when all used, will ensure that you are fully protected. Standard Bulletproof plate size that will fit most people measures 250mm x 300mm. It is also worth mentioning that these plates have different ratings, for instance, they range level III (3), III+ (3+) and IV (4) among others. This mean that they have different capabilities hence do not over expect on some which you know are of lower level. These plates vary in weight, and this is mainly determined by the type of material that is used to make it. It is the time to reinforce your bulletproof vest by deeply considering the armor plates. 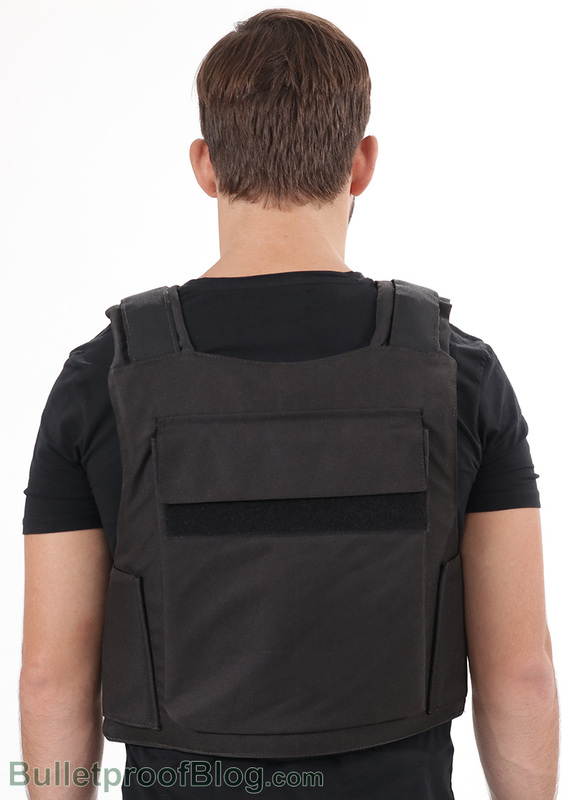 While a bullet proof vest is usually worn by law enforcement officers on top of their clothing, private individuals such as businessmen and their bodyguard wear these bulletproof vests concealed under their clothes without the body armor plates. To stay comfortable, most choose soft body armor to not reduce mobility throughout their daily tasks. Danger comes at the most unexpected times and places which is why it is best to stay safe than be sorry later on. It is good to note, however, that soft body armor will only be able to provide protection from handguns and pistols but cannot protect from rifle fire. While the soft armor is usually worn by most police officers, those in SWAT teams and soldiers are recommended to use ballistic plates. While you can’t really expect everyone to wear a bulletproof vest at all times as people will have a hard time doing the daily tasks, these ballistic plates also can be placed in bags. If you think that a ballistic plate is just too heavy and would be very uncomfortable to bring around and actually place inside a backpack, it is nice to know that there are manufacturers that produce ballistic plates that feature a slim design and made up of very lightweight material. These ballistic plates may also be used as added protection on bulletproof vests. Usually, a ballistic plate is made of high-quality steel, ceramic and polyethylene that’s been tried and tested for impact.